C/2013 A1 (Siding Spring) is an Oort cloud comet discovered on 3 January 2013 by Robert H. McNaught at Siding Spring Observatory using the 0.5-meter (20") Uppsala Southern Schmidt Telescope. At the time of discovery it was 7.2 AU from the Sun and located in the constellation Lepus. 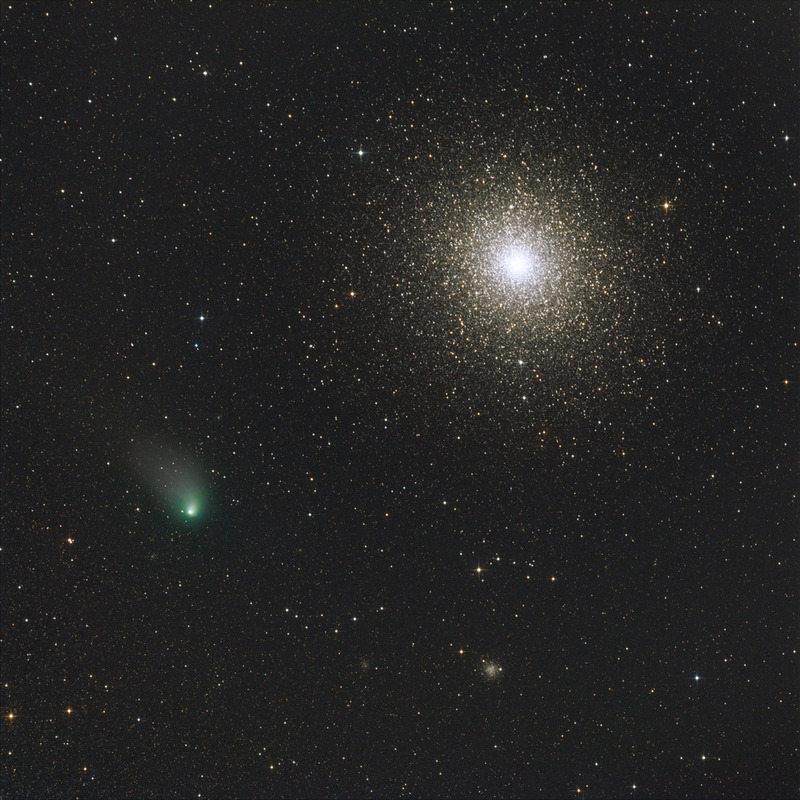 Comet C/2013 A1 probably took millions of years to come from the Oort cloud. After leaving the planetary region of the Solar System, the post-perihelion orbital period (epoch 2050) is estimated to be roughly 1 million years. On this image taken on the morning of August 30th 2014 from 4:00 until 4:30 LT, the comet was near the globular cluster 47 Tucanae. R:3x2min, G3x2min, B:3x2min, Bin 1 Total Exposure Time 18 min.